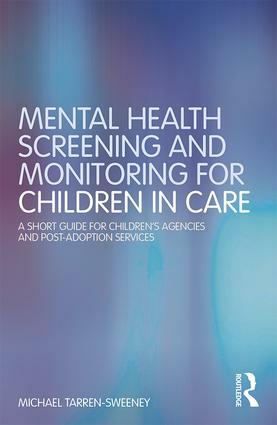 Mental health screening and monitoring for children in care: A short guide for children's agencies and post-adoption services. Routledge, London. I have been awarded the 2016 Innovation Medal by University Council, in recognition of my work on the Assessment Checklist measures. 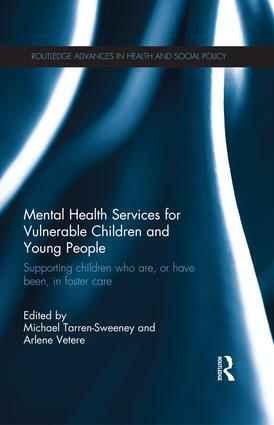 "... the definitive international reference for the design of specialised mental health services for children and young people in care and those adopted from care. It is invaluable reading for health and social care professionals working with this population and academics with an interest in child and adolescent mental health from a range of disciplines, including social work, nursing and psychology." Click here to view the book's flyer, which includes a 20% discount off the list price. I have uploaded a corrected version of the ACA-SF profile sheet for boys and girls, which contains the ACA-SF item numbers rather than the ACA item numbers. The profile sheets are on the 'Obtaining the ACC and ACA' page. Some researchers have been using a 44-item short form version of the ACC. I have now included that and a 37-item short form version of the ACA in the zip file I distribute to registered users. These short form versions are appropriate for some research and treatment monitoring purposes, but are not substitutes for the ACC and ACA when conducting comprehensive clinical assessments. I have also included some information on the ACC-SF and ACA-SF at the bottom of the respective ACC and ACA pages on this website, and have added profile sheets for these versions on the 'Obtaining the ACC & ACA' page. The first news is that the Assessment Checklist measures have a new website at www.childpsych.org.uk. I have shifted from the old site on the University of Canterbury's website so that I can update the site myself. This has been timed to coincide with several important developments, namely the development of the ACA and BAC measures. Item and factor analyses and validation procedures for the new Assessment Checklist for Adolescents were carried out in August this year during six months study leave from teaching. This follows completion of the follow-up and adolescent surveys of the NSW Children in Care study last year, in which the ACA items were trialled with 230 young people in foster and kinship care. I wish to acknowledge the support of the Treatment Foster Care Program for the Children's Aid Societies of Durham, Highland Shores and Kawartha-Haliburton, in Ontario, Canada, which kindly contributed adolescent ACC scores for the ACA's factor analyses. My six-months study leave also provided me the opportunity to derive the Brief Assessment Checklists from the ACC and ACA in October this year. This project had been put on the back burner for several years, most recently because of the impact of the 2010 and 2011 Christchurch earthquakes on my research time. It is very gratifying to finally have these screening and case monitoring instruments developed and ready for use. 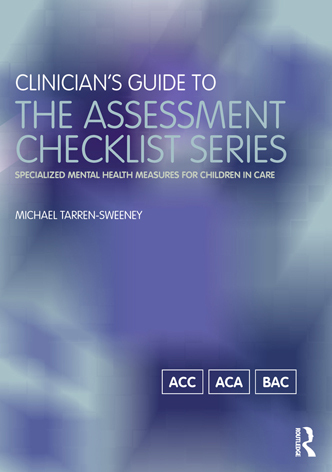 I have also been using my study leave to work on the Clinical Manual for the Assessment Checklist series. I expect this manual will be published some time around the middle of 2013. I will email the publication details to ACC/ACA registered users when the book is published.